Google alert is a good way to get the latest news on the web for your chosen topic of interest. Online singles can certainly choose free dating alerts on Google to keep them up to date with the online dating scene. Google being the king or as the giant as some would like to call it, has the word crunching power for this type of information. However, recently Google alerts on free dating has gown down when it comes to quality. For example, how about a website giving info about why to join adult dating site or a Yahoo answer making the headline of Google alerts where a teenager asks “What online dating sites are there for people under 15 in Singapore?” Google alert on free dating reached a very low today on 14th Match 2012 Google alert make news of a forum thread on known dating site (Datehookup) where members posted that datehookup is the best free dating destination. Oh, come on! 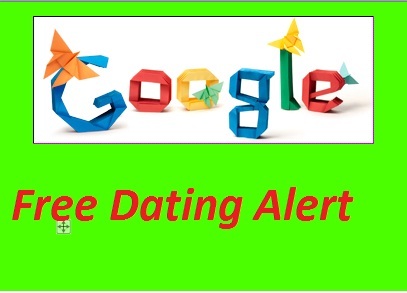 We all respect Google for its accuracy and they must have some criteria or algorithm to pick the content before making them as a part of a free dating alert. I may be ruthless with Google as there is every possibility that there is no quality content being created in the dating community. Not sure what is the story behind this but the fact remains that Google should reevaluate and rethink their Alert algorithm before sending out free dating alerts. Singles dating cruises are the ideal way to connect with men and women and enjoy a vacation at the same time. 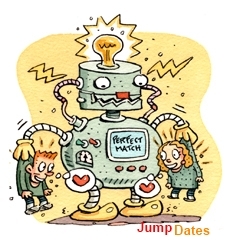 Most often, you could end up with a dating partner who may turn out to be your life long mate. Most dating cruises are specifically geared towards groups of single men and women that seek to make new friends and possibly a love connection so if this is what you desire then go ahead and sign up for one. There are many dating sites that offer these packages that include a host of onboard events including speed dating, games, on-shore tours, and much more. Most importantly, you get the opportunity to look for that someone special. The best thing is that some offer a pre-event gathering where you get to know who will be on board as well. Several dating cruises cater to various age groups from singles in their 30s to baby boomers and seniors. The good thing is you have a choice just like you do when dating online. Most dating cruises aim to have an equal number of single men and women which makes it great for both sexes. Of course, the best thing is you get to relax and unwind on a holiday while you search for a partner. Timing is crucial so reserve your berth early. Some cruises are booked well over six months to a year in advance. A cozy cabin can be yours at a great discount if you are an early bird. If you desire to hook up with the best singles in town then you ought to join your community dating online. The key is to join a reliable dating website like jumpdates. This is a great place to connect with different men and women from various lifestyles. Most people dating online are looking for a friend, activity partner, chat mate, and of course, a majority of them are looking for their future soul mate. So, if you have had a few bad dates or haven’t been successful at all, all you need is to sign up with free dating sites and join your community online. You don’t have to pay either since many of these sites offer free dating services that include chat rooms, instant messaging, email exchanges, and much more. The best thing is when you join your community dating online you get to meet singles from a wider geographical areas and a larger spectrum of personalities too. You would need to be specific in the type of partner you desire so that you don’t end up having to weed out a lot of profiles that don’t actually fit the bill. This is the only way to get off to a good start when dating online. Consider the type of personality you are and what you desire in a partner. It also keeps you well prepared as you take the first step at dating in the virtual world. Just make sure you use all the dating services to your advantage. There are only a few reasons why dating can be painful and one of them is rejection. When you date online you may be faced with the situation where you need to reject someone or the other person rejects you. It is so easy to get carried away when dating online that you often create the perfect picture in your mind of the other person. However, there is no way you can determine if someone is actually what you are looking for until your meet. Rejecting someone is why dating can be painful but you need to learn to cope with it. You may not like to hurt someone’s feelings but this is something you can’t help. The best thing to do is be forthcoming and explain why you feel the other person is not a Mr. or Ms. Right for you. One reason why dating can be painful is when the chemistry just isn’t there. They may be everything you find interesting. Could be looks, intelligence, humor, but if there is no chemistry then things can’t just work out. One of the good things is that online dating makes it less painful when there is rejection to deal with. If you haven’t met as yet then it takes a load off your shoulder. Don’t ever kid yourself that you can change for another person. You need to be yourself. That’s what dating and relationships are all about. If the chemistry doesn’t exist nothing can change things around magically. Rather than ponder over why dating can be painful, go ahead and enjoy your online dating pursuits.